We endeavor to platform a kindred environment, and home base, for all credit and collection professionals. It is a spirited togetherness that we seek to achieve, from the top to the bottom. “ The Oneness “. It is that “ oneness “ that fosters the solidarity that we should embrace in promoting a collective standard of professionalism that is beyond reproach throughout our industry. We will also showcase the many verticals and business opportunities available to all credit and collection professionals. Rare is the path that is the only way, and... the old dog can learn it’s share of tricks. We want you to know better. We want you to be better. We want you to do better than you have ever done before. But, at the end of the day, we just want You, and the Industry to cooperate, and achieve “ The Oneness “. The PDCC is seeking new and vital contributors every day. No contribution, of any nature, is too small. Our membership consists of ARM professionals from around the globe, including ‘ fin tech ’ vendor organizations that keep us on the cutting edge of technology. Our heroes are everyday professionals who concentrate their efforts in all areas of credit and collections. The collective experience of the founders and members of the PDCC has great depth. Our collective reach is limitless. 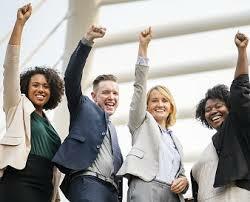 We are debt collectors, owners, managers, consultants, vendors, entrepreneurs and mentors with skill sets honed from years of performance excellence. Our experience encompasses ‘ first party ‘, agency and law firm venues from which we glean a keen understanding of the challenges that are faced daily throughout the industry. The enormous pressure to perform to management’s expectations, your own expectations and still comply with “ the law “ can wreak havoc on the day to day sense of security for even the most professional of credit and collections professionals. Yet, we do the work, and the work gets done. The PDCC is the answer for you or your organization. 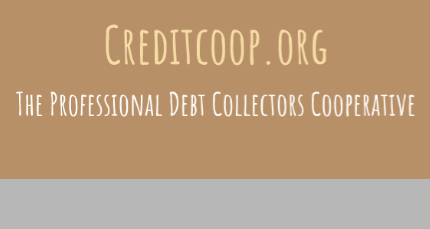 What can the Professional Debt Collectors Cooperative do for you? This online platform is intended to entertain, educate, enlighten and sharpen the skills of all hard working ARM professionals operating throughout and around the world. Thank you PDCC for providing the oppourtunity to start my own collection agency business. You helped make my dream come true. PDCC has opened doors for me never before possible. You are the "Superstore of the Credit and Collections Industry!! Thanks PDCC for showing me how to put the money in my pocket instead of my bosses. You rock PDCC!! Thanks PDCC! Working from home gives me more time to spend with my grandchildren! Worldwide PDCC has helped me grow my business and open markets to me on a global scale!